The only kind I can have, lol. with this lovely rose set. Pink beauty, soft and romantic. filled with warm aromatic English breakfast. Thank you for stopping by for tea! Wishing you all the best day possible. Our hearts and love go out to them both! I am joining Sandi for No Place Like Home. also, with Ruth for Tuesday Cuppa Tea. Yes let it multiply ,lets hope for that. 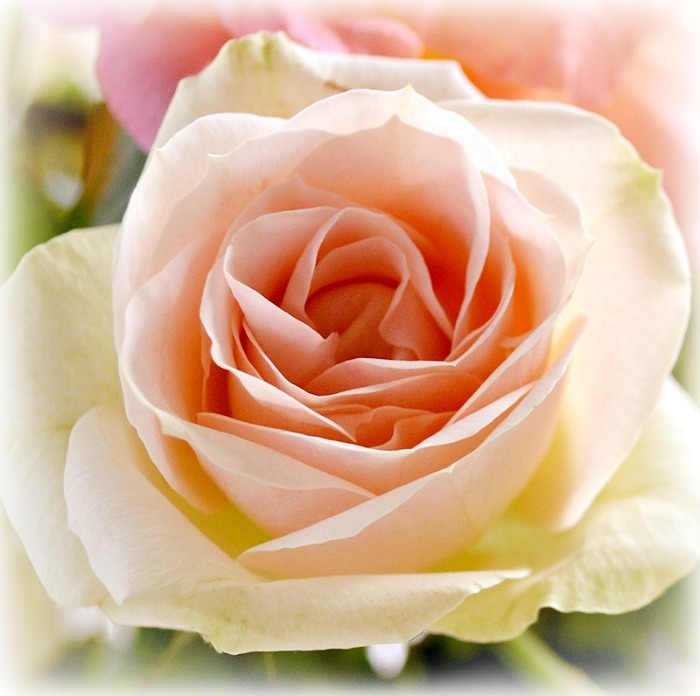 Your post so beautiful, and love filled,- will help in sending love all around the world, as it did to me, and many others I`m sure . All the way in Denmark, I think of you , and hope your day will be happy and that you will feel love from every corner in the world. 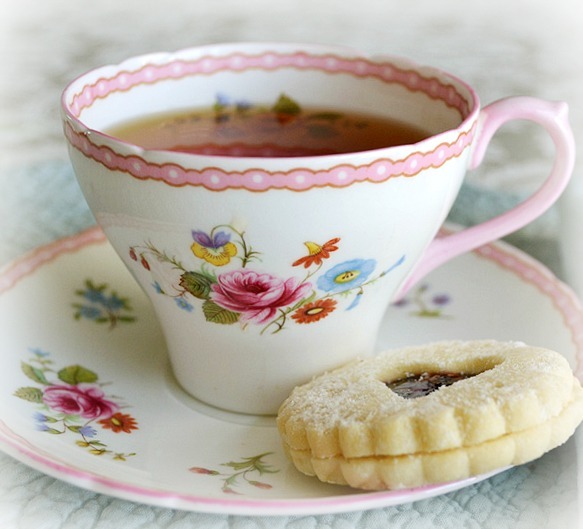 Your tea cups are so very beautiful, they must hold such lovely charm to drink of, and how could it be more romantic than this !! To me this eye candy is sweeter than anything edible! ----SIGH-----This post is gorgeous Terri!!!! You have beautiful china and your photos of them are amazing! 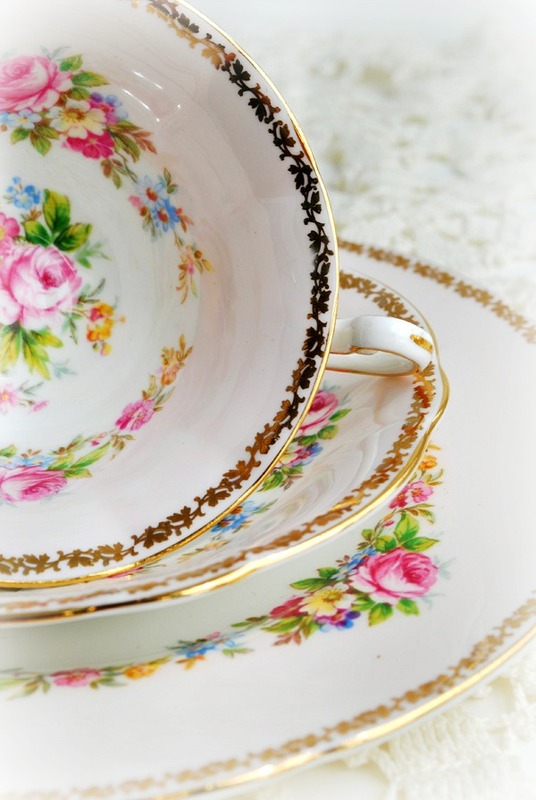 Such pretty china!! Happy Valentines to you. Happy Valentine's Day to you, Terri! Your teacups are beautiful, and the gift from Martha is the best one of all. Friendship Love is as important as Romantic Love! Oh, how truly lovely, Terri! Your pics are absolutely stunning. Happy St. Valentine's, sweet friend. Hope you had a wonderful Valentine's Day weekend, Terri! 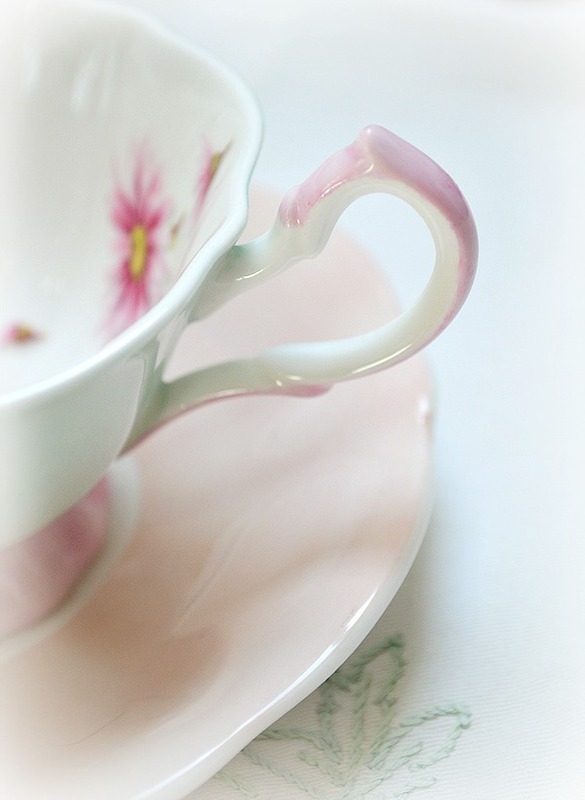 I'm swooning over all your gorgeous teacups. Thank you for sharing this Valentine candy with us! aaaah.... I know a fellow romantic when I see one:):) Gorgeous eye candy and poem-I'd rather have this than genuine candy anytime! Hope you had a lovely Valentine's day. 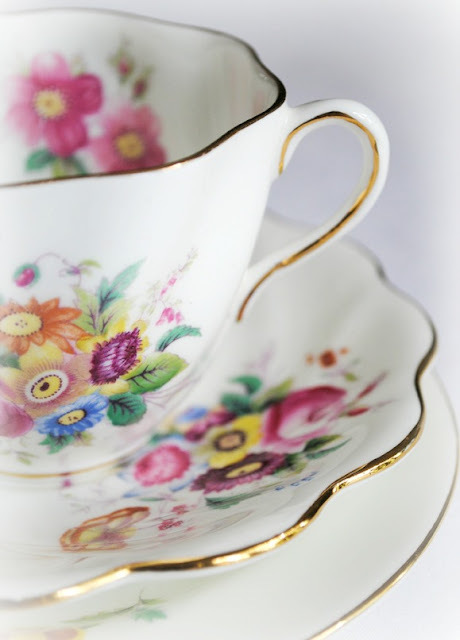 Thank you for sharing these lovely teacups with us. Each one is as pretty as the next and the trio from Martha i beautiful. I never get tired of them. Thank you also for your sweet note! Eye candy is the best kind Terri, no calories! 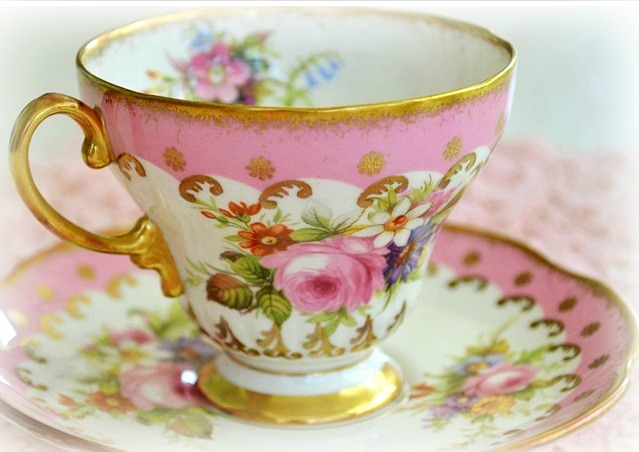 Pretty pink teacups for your tea, wish I could join you. What a scrumptious post! 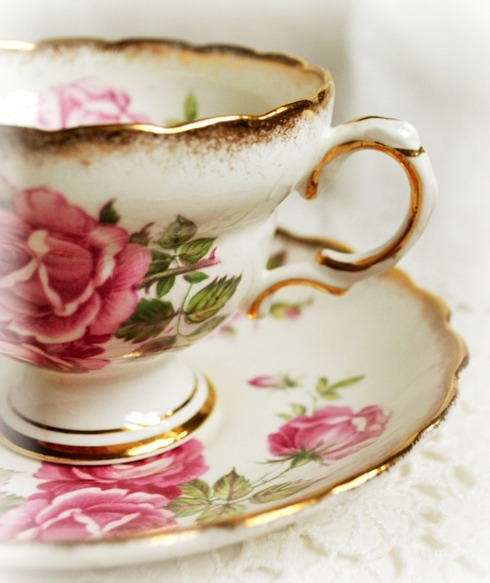 Every teacup is a delight and your roses; glorious! 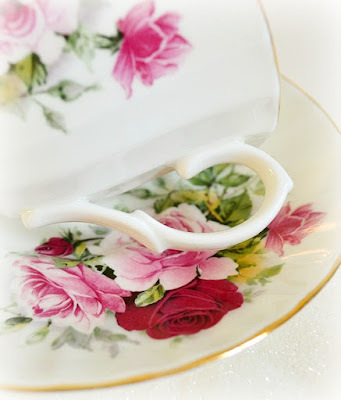 Soft and romantic; perfect for Valentine's Day! Eye candy is always better than the real thing because there are no calories. ;-) Thank you, sweet friend, for sharing with us and I hope you are having a good day. Hi Terri!! Wow..so much exquisite beauty...what a beautiful Valentine's themed post..each cup made my heart sing even more..all so gorgeously displayed...lovely flora and poetic touches..delicate pinks..yet rich and romantic too! Love that poem! Wishing you a most magical V-day, thanks for shining out so much beauty and harmony! HUgs to Martha, I will prayer and send light her way! Have a marvelous week kindred! Hi Terri! 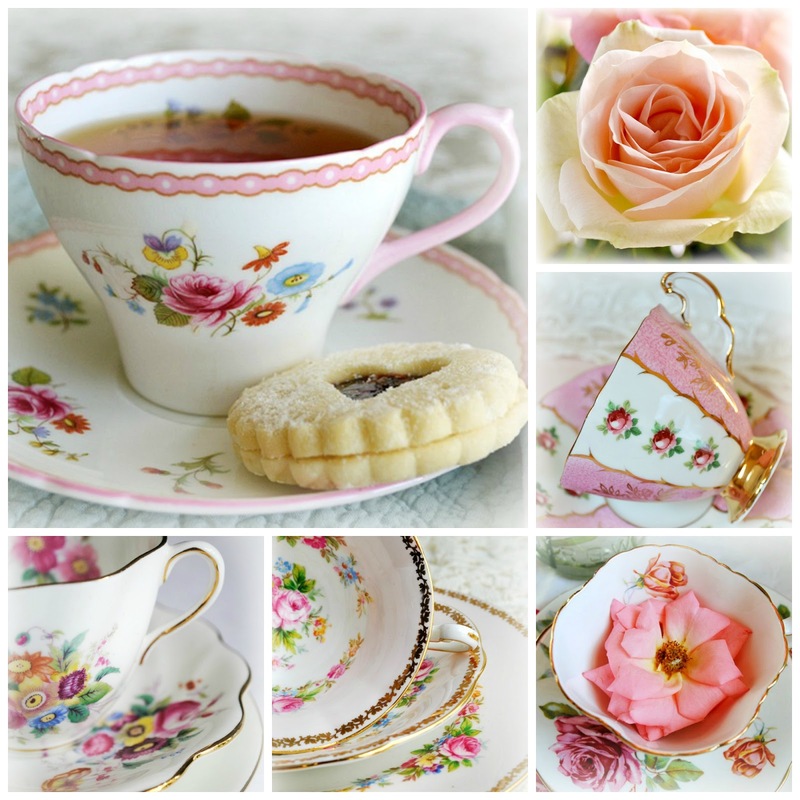 Lovely teacups and pictures. And a wonderful end to such a gorgeous post reading the poem. Roses, roses, roses...oh so sweet and beautiful. 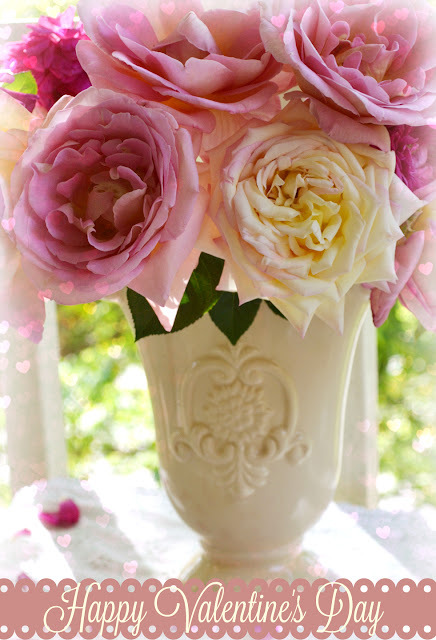 There is nothing like roses! You cups are all so very pretty. I cannot pick a favorite Terri. Just letting you know this was one of the posts that were featured on my blog today! Thanks for sharing this beautiful presentation! 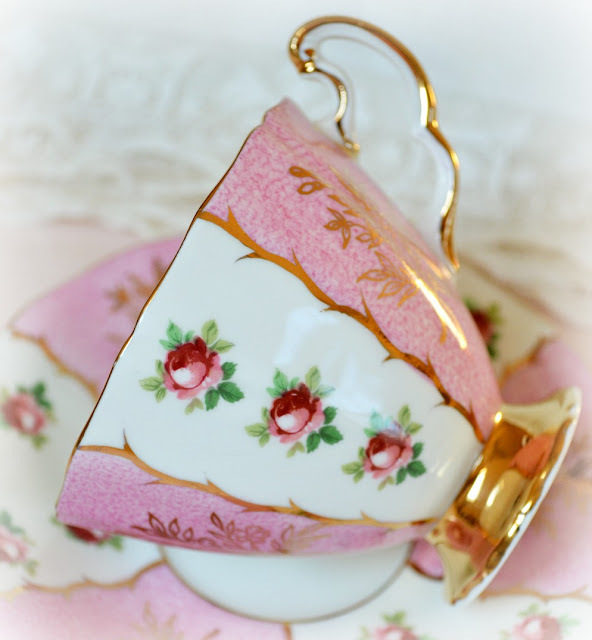 I will be featuring your lovely post at No Place Like Home on Monday. Hope you're having a wonderful weekend. I'm here from Bernideen's blog party. 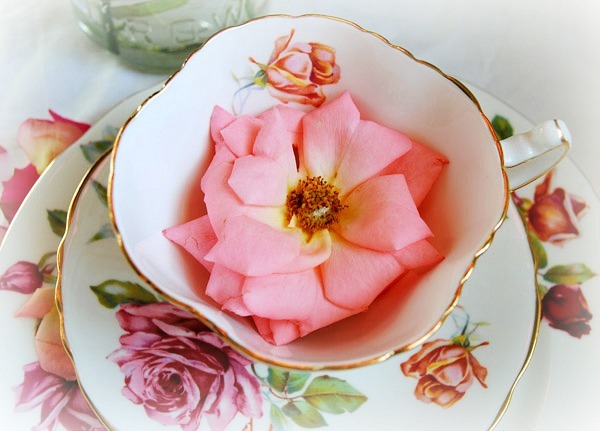 Congratulations on being featured for last week's post - these tea cups are romantic to a TEA!